My excuses were lined up even before I stumbled onto the R train that would take me to the D that would take me to the Bronx. This is not a goal race. Eric also has a cold, and his symptoms include violent, sleep-disrupting sneezes. All. Night. Long. My right Achilles continues to piss and moan – and, on occasion, shriek like an angry banshee – when I run fast or far. I’m at the end of a 65-mile week, I have 70 miles ahead of me next week, and I’m tired, dammit. His name is Santiago López. 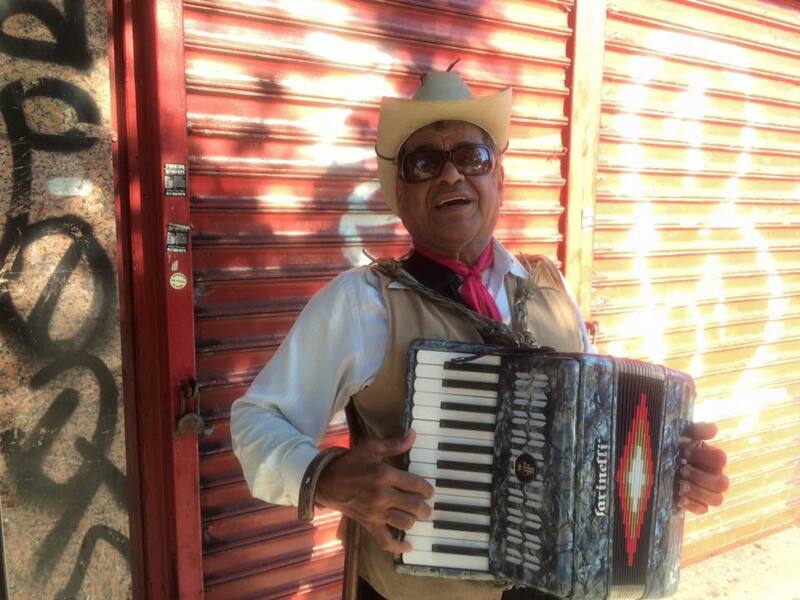 On Labor Day morning, he was playing the accordion and singing in front of a shuttered storefront on an otherwise quiet block of 4th Avenue in Sunset Park; I was halfway through an easy 6 mile training run along the NYC marathon course. Accordion music is a weakness of mine. After passing him (his improvised lyrics referred to “una mujer bonita”), I jogged to the next street, hesitated there, and turned around (“regresa la mujer bonita”). 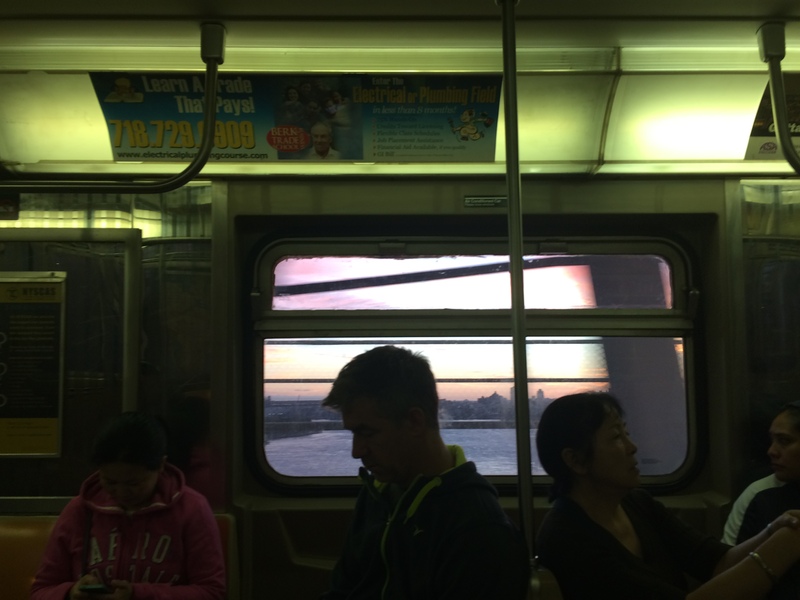 “I love accordions,” I burbled, fumbling for a dollar in my hardly-sweaty-at-all plastic bag. A dollar, a photograph, a thank you, and an attempted riff of my own, in bad Spanish, about the next time I return, I’ll be running the marathon. El maratón! He told me how that was him, in 1992, no, 1991. How he went to the United Nations. (We were speaking half in English, half in Spanish, and I was having a hard time following. I guessed he was referring to the pre-marathon event for international runners, which starts with a ceremony at the UN.) Here, he had a picture to show me. He fumbled around and produced, out of somewhere, a cheap plastic portfolio – the kind that ties shut. He undid the tie, opened it up, and showed me his newspaper clippings. 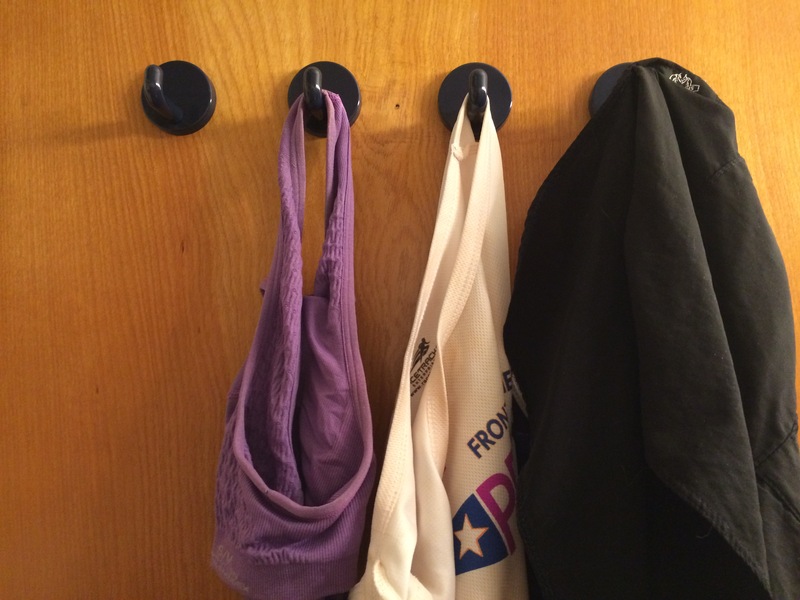 What a welcome sight: damp running clothes hanging up to dry. A monthly training recap seemed like such a good idea back in July, when I was flush with self-satisfaction at how well my training was going. What a great idea, to document my progress by posting comparisons between this year and last!